Google is partnering up with job searching services in the UK to help job seekers find their next role. When scouring through online job boards to find the right role for you, we often turn to google to search for supporting information. According to a Google blog post, they have now launched a service that will do a lot of this leg work for us! If you type relevant terms such as “jobs near me” or something more specific whilst in the UK, a new feature will appear that will let you explore jobs from a wide range of websites, including information such as salary, company ratings and even details of how long it would take you to commute from your current location. You’ll also have the option to set up email alerts to ensure you don’t miss out on new jobs when they come live, as well as being able to save individual jobs to come back to at a later date. To achieve this venture, Google have partnered up with the likes of The Guardian Jobs, Reed.co.uk, Haymarket, Gumtree, The Telegraph, Reach plc’s totallylegal, CV-Library and totaljobs.com to ensure a comprehensive list of jobs is available in the UK. 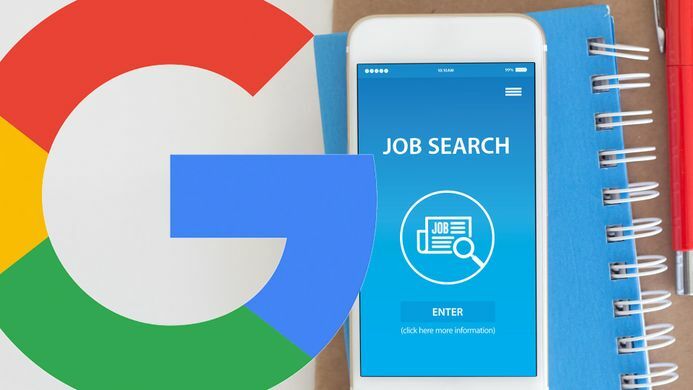 This Google job hunting service has been running successfully in the US for some time and they hope to be able to mirror this in the UK, encouraging job providers to make use of open documentation to ensure their job listings are accessible and discoverable in the future.